Fill a pot with a steamer attachment with about 3 inches of water. Bring water to a boil over high heat. Place the eggs in the steamer and set over the boiling water with a lid for 12 minutes. Peel the cooled eggs and cut in half lengthwise. Put the yolks into the bowl of a food processor, blender, or bowl. Add the remaining ingredients (except the cilantro). Pulse, blend, or beat with a fork until smooth. Taste it to see if it needs more lime or Sriracha. Spoon or pipe the filling into the reserved egg whites. Top with chopped cilantro and serve. 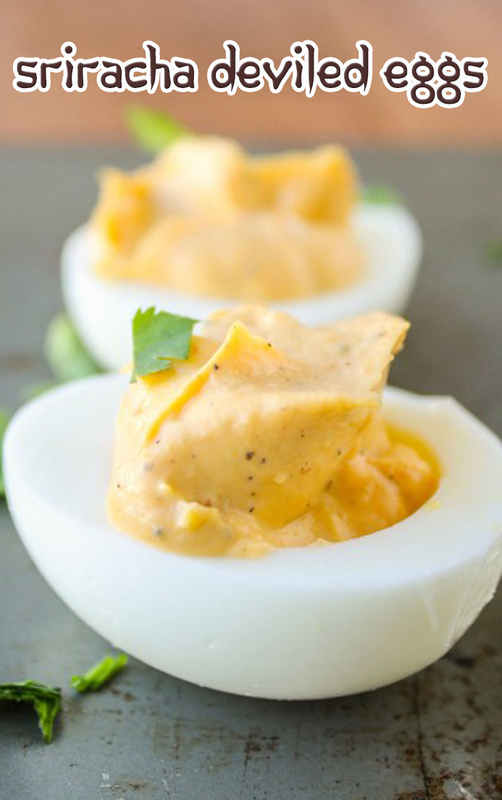 These are a great make-ahead appetizer, they keep well in the fridge (covered).